Brick is a fantastic building material. It is durable, provides insulation, and looks great. However, homeowners often have difficulty deciding how to decorate around the brick. When updating the exterior of your property, you may have difficulty choosing colors for your doors, shutters, and trim that complement the brick. 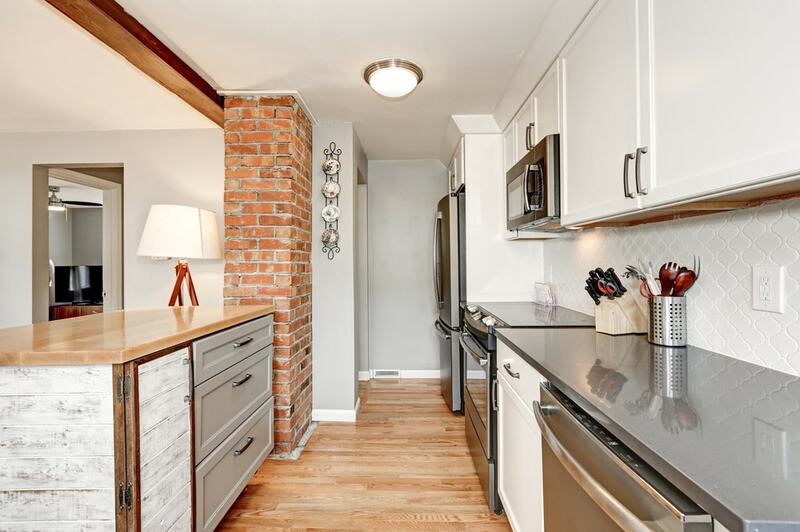 When renovating the interior, you may have trouble finding a color to highlight an exposed brick wall. The natural colors found in your brick stand out when you choose the proper accent color. For any home renovation project, interior or exterior, use these color options to help accent the brick. Bricks are rarely a true red, especially older bricks. Your red brick may be closer to orange and brown, which are even more difficult to pair with other colors. To accent an orangish or brownish brick wall, you should consider using complementary colors. These are colors that are on the opposite end of the color spectrum. Instead of using yellow, orange, or red, you may want to choose blue, gray, or charcoal colors. While less common than red, you may have a blue or gray brick. These bricks are a little easier to accent, as many combinations of colors work with the natural blue or gray specs on the bricks. You can use complementary colors or analogous colors with blue or gray. If the brick contains more blue colors than gray, you may consider using a yellow or orange color to complement the brick. An unsaturated gray brick may pair better with red or orangish colors. Analogous colors are colors that are close to each other on the color wheel. With a bluish-gray brick, analogous colors may include various hues and shades of blue or violet. You can also choose a color that is lighter, darker, or the same shade as the brick. Cream and light-colored bricks are also easy to accent, as they work with a wide range of color. If you want a subtle look, pair light-colored bricks with light blues, greens, or cream colors. For a more vibrant look, pair these bricks with bright oranges or reds. If you do not like the color options discussed for your brick, you can also choose to use monochrome colors. This may work best for the exterior of your property when painting doors or shutters. White and dark gray are suitable choices when accenting a brick exterior. However, if you have a dark roof, you can add white doors and trim help create more contrast. The goal of an accent is to help highlight another object or surface. You do not want to overpower or take away from the brick. These color choices provide the perfect solution for drawing more attention to the exterior or interior brick surfaces. Consider these choices before selecting paint for your property.